The star-surveying Gaia observatory completed a tricky manoeuvre Tuesday to park itself nearly a million miles from Earth, arriving at a remote operating post to begin scanning the galaxy to plot the locations and motions of a billion stars. Fitted with a pair of telescopes and the largest camera ever flown in space, Gaia launched Dec. 19 aboard a Soyuz rocket, departing on a nearly three-week cruise to the L2 Lagrange point. 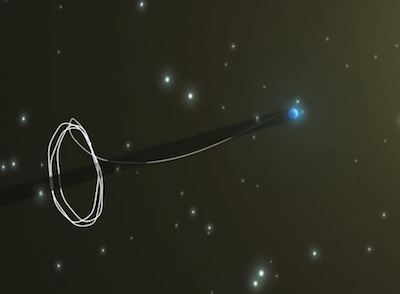 Gravity from the Earth and sun helps suspend Gaia in a relatively stable looping orbit around a fixed position about 1.5 million kilometers, or 932,000 miles, from Earth. Gaia fired its rocket thrusters a day after launch in December to put the probe on course to arrive at L2. Ground controllers devised a two-part maneuver to place Gaia in the correct orbit around the Lagrange point, beginning with a burn Jan. 7 and concluding with a smaller rocket firing Tuesday. "Gaia is in its operational Lissajous orbit around L2," officials wrote Tuesday on the European mission's official Twitter account. "The thruster burn today was perfect." Gaia will complete a loop around the L2 point once every 180 days, according to the European Space Agency. Gaia's trajectory is not stable, so engineers plan monthly maneuvers to maintain the spacecraft's so-called Lissajous orbit. 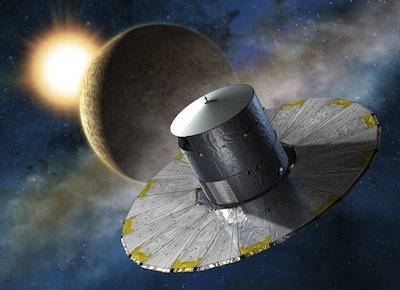 "Entering orbit around L2 is a rather complex endeavour, achieved by firing Gaia's thrusters in such a way as to push the spacecraft in the desired direction whilst keeping the Sun away from the delicate science instruments," said David Milligan, Gaia's spacecraft operations manager, in a press release. The ambitious survey mission aims to unravel the Milky Way's complex and dynamic motion by observing the brightest billion stars in the sky. Although that number represents less than 1 percent of the stars in the galaxy, scientists say it's enough to deduce the Milky Way's structure and run its motion back and forward in time in an exercise to see how our cosmic neighbourhood evolved and what might happen next. Officials say Gaia's total cost is approximately 940 million euros, or nearly $1.3 billion, including contributions from ESA and academic institutions in the United Kingdom, Italy, Germany, France and Spain responsible for processing the mission's immense data archive. Gaia's science mission is scheduled to begin by early May, after the spacecraft completes a thorough checkout and test period to ensure the science instruments are working normally. The ground control team activated Gaia's imaging system in the first week of January. Gaia's array of CCD detectors - nearly a billion pixels - span the size of a table top, giving it the imaging power to resolve a strand of hair 1,000 miles away. Gaia is planned for a five-year survey of the cosmos, detecting every star, supernova, quasar, planet and asteroid brighter than 20th magnitude -- 400,000 times dimmer than visible with the naked eye. Read more on the Gaia mission.